Kathryn Hahn is an American actress, comedian and fashion model who played Lily Lebowski for six years in the television series Crossing Jordan on NBC. Her notable film appearances include: Afternoon Delight, Wanderlust, Private Life, Bad Moms, and its sequel, A Bad Moms Christmas, Our Idiot Brother, Revolutionary Road, and Captain Fantastic. In 2014, she starred as Raquel Fein in the Amazon Prime Original Comedy-Drama Series Transparent, alongside Jeffrey Tambor, Gaby Hoffmann, Jay Duplass, Amy Landecker and Judith Light. 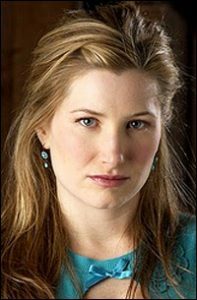 Born Kathryn Marie Hahn on July 23, 1973 in Westchester, Illinois, USA, to parents Karen and Bill Hahn, she was raised in Cleveland, Ohio. She belongs to German, Irish, and English descent. She attended Beaumont School and graduated from Northwestern University with a bachelor’s degree in theater. Her first appearance on any television program was on the NBC puppet show Hickory Hideout. On January 3, 2002, she married actor Ethan Sandler. Together they have a son named Leonard and a daughter named Mae. Occupation: Actress, Comedian, Fashion model. *She was born on July 23, 1973 in Westchester, Illinois, USA. *She made her film debut in Flushed (1999). *She paints and practices yoga in her free time.